After Being Rescued From 50 Years Of Abuse, This Old Elephant Actually Cried. 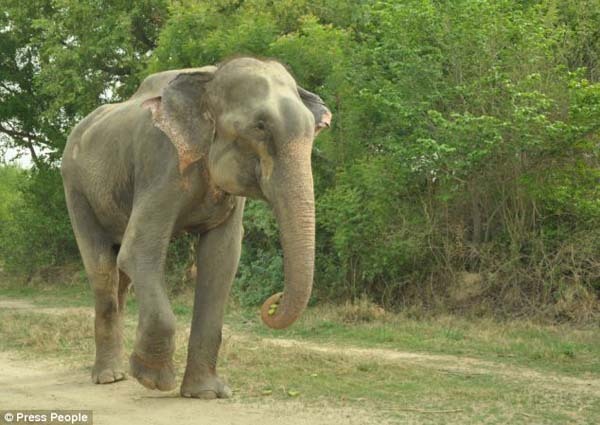 For 50 years, Raju was held captive in the Uttar Pradesh area of India. Day after day, massive spiked chains cut into his starved, frail flesh. 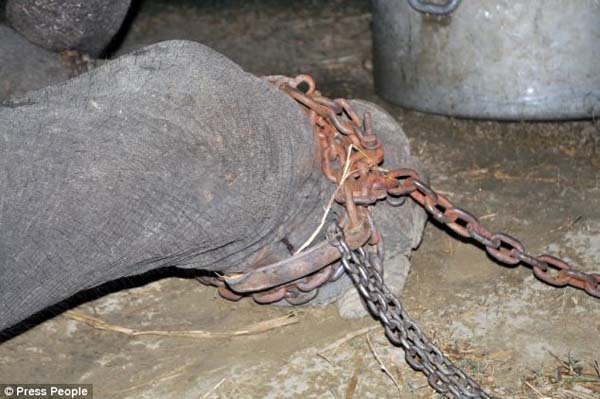 His “owner” tied him and forced him to beg for handouts from tourists, holding out his trunk. 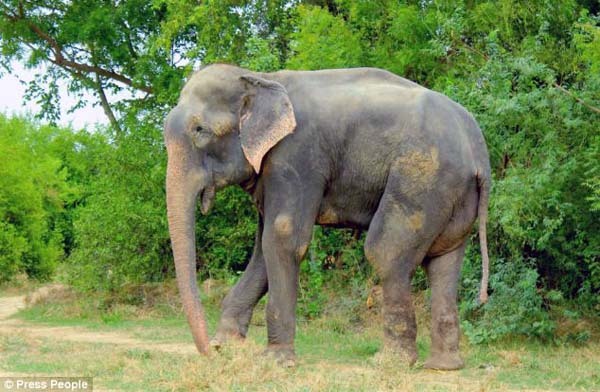 One day, the Uttar Pradesh Forest Department in India alerted a North London-based charity, Wildlife SOS, of Raju’s plight. When they discovered what this poor creature had to deal with, the group flew to India to rescue him. 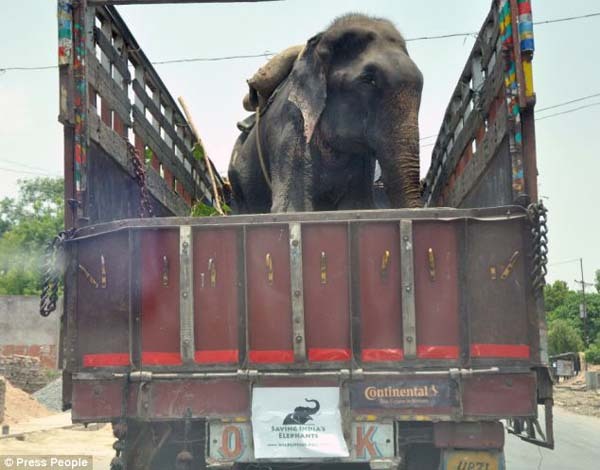 They never expected what Raju did during his incredible rescue. A 10 person team of vets and wildlife experts were joined by 20 forestry department officers and 6 police officers. Raju had an army rescuing him. 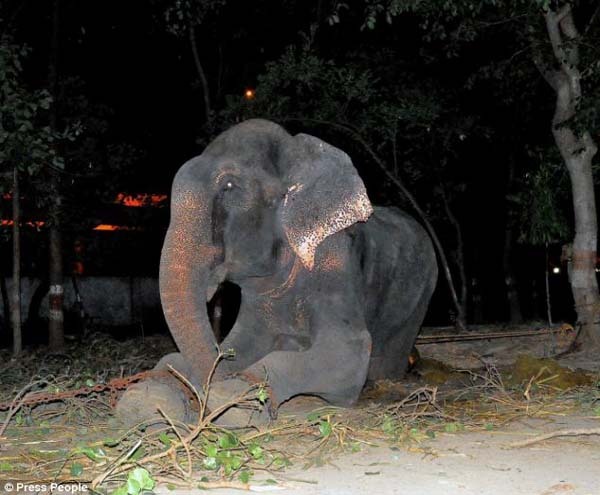 They found Raju chained, as he was for years. 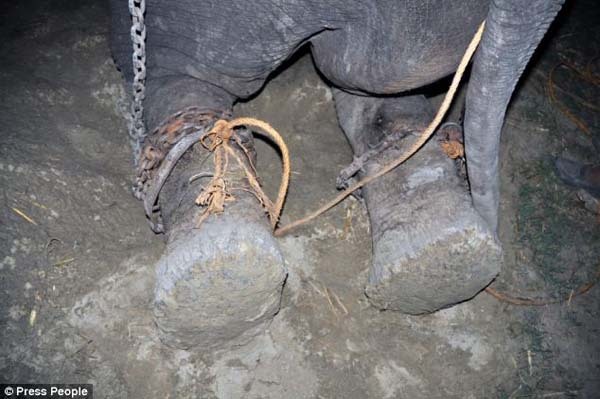 Raju’s wounds were constantly open; the spikes on his chains dug into his flesh every day. They oozed and bled. 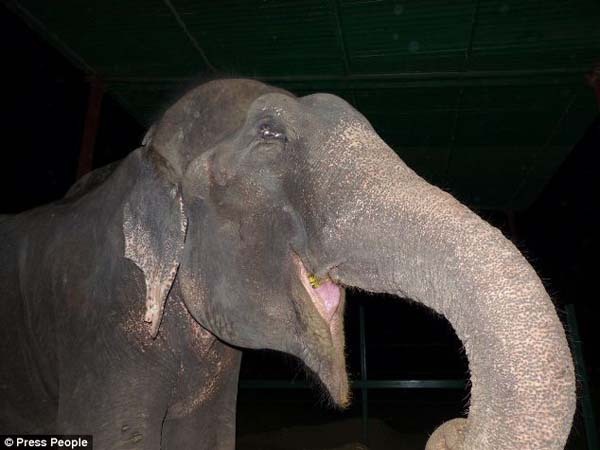 After being freed, tears of joy actually rolled down Raju’s face. The elephant was emaciated and in terrible condition. 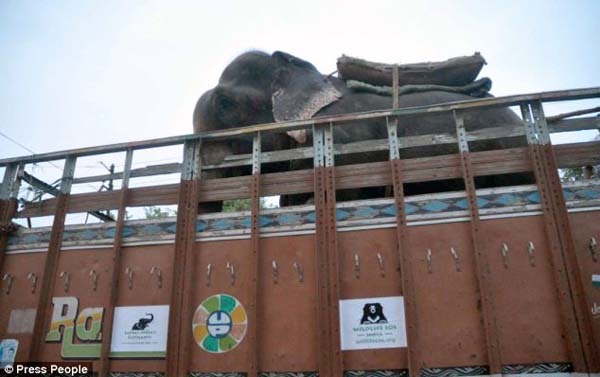 He was sedated and then transported to the Elephant Conservation and Care Centre at Mathura. His open-air ride was one of his first tastes of true freedom. 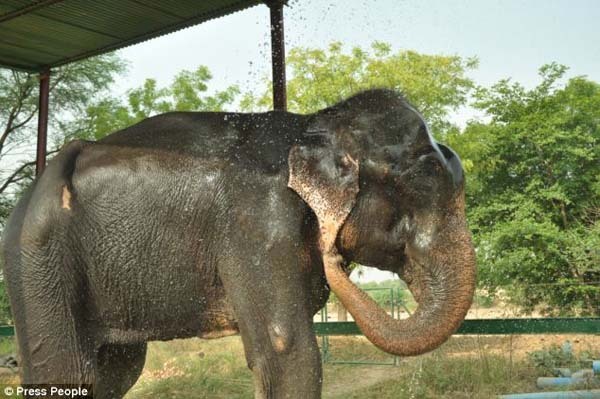 Once at the center, Raju was given a bath and emergency medical attention. 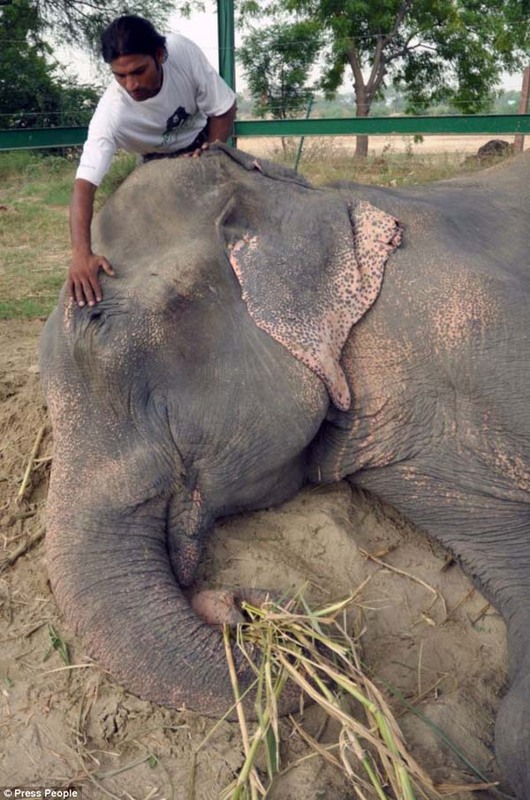 The long and difficult rescue was emotional for Raju, but also for his saviors. Now, he’ll live out his days being happy, free from pain and suffering. 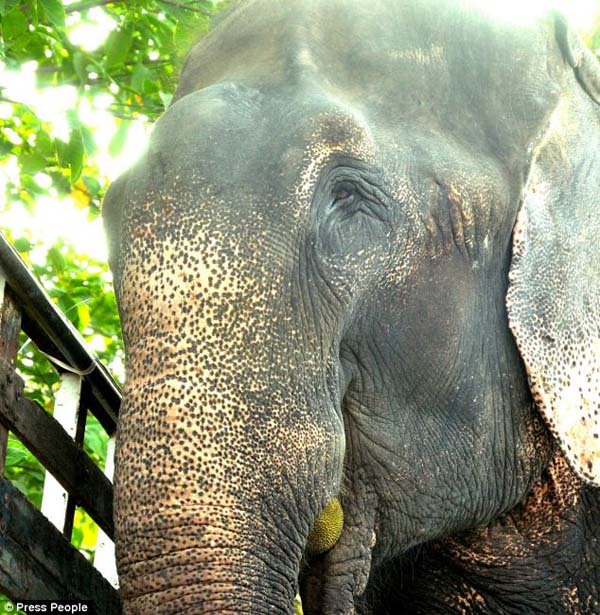 The heroes at Wildlife SOS saved Raju from decades of torture. He will finally know freedom and days without pain and torture. It’s incredible that he was able to survive this long and endure such abuse. Click below to share his amazing rescue with others. If you see animal abuse, say something. Don’t let innocent creatures suffer. I just had to share this! After writing my post on Chains and seeing the injuries and suffering many elephants go through at the hands of their masters I have a great respect for these mighty giants. His tears upon freedom reminded me of mine when Christ set me free from my chains of addiction. It was yesterday all over the internet, I saw it on Yahoo. It touched my heart deeply. A very moving story – thank you for sharing it. A beautiful story! By the way Jennifer sent me!